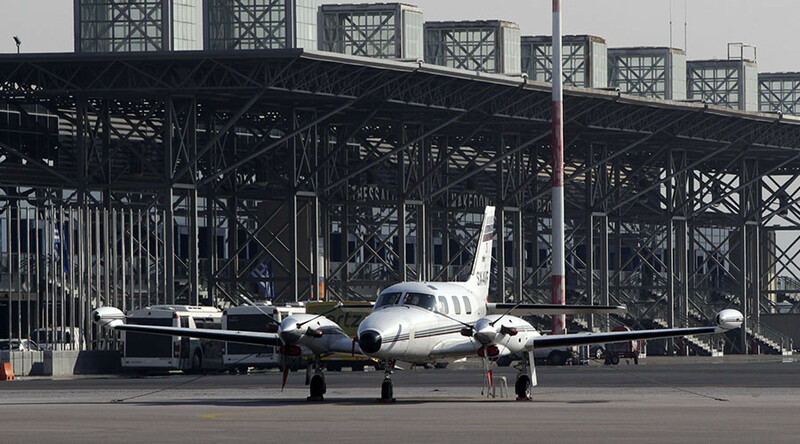 Greece has signed its first major privatization deal granting control of over a dozen regional airports to a German company. The agreement is part of international creditors’ demands to privatize state assets to secure €86 billion in bailout funds for Athens. The €1.23 billion contract gives a 40-year lease to the Frankfurt airport operator Fraport. The German firm could upgrade and operate a cluster of airports, including those on the popular tourist islands of Corfu, Mykonos, Rhodes and Santorini. “The project underscores the extensive know-how that Fraport will be able to provide at these 14 aviation gateways which are vital for Greece’s economy and, in particular, its huge international tourism sector,” Schulte said. “It’s a very significant development and a strong message, in all directions, that the Greek economy is winning the trust of markets and entering the road toward growth,” said Stergios Pitsiorlas, the head of Greece’s privatization agency. The privatization deal with Fraport was agreed last year but final negotiations were frozen when Syriza came to power in January. It goes against Prime Minister Alexis Tsipras' pre-election promise not to privatize the country’s infrastructure. The idea was strongly opposed by Syriza’s left platform which accused the coalition of “surrendering” public assets. Around €3 billion in revenue has been raised in Greece through privatizations over the last six years. In terms of the current bailout program, the Greek government has to raise an additional €6.2 billion from selling or awarding management contracts for state-owned assets in the next three years. The measure aims at reducing national debt and increasing investment. On Tuesday night the Greek Parliament will vote on the latest package of economic measures which is widely expected to be passed. If approved it would unlock the next €1 billion in bailout funds. Greece’s two biggest unions GSEE and ADEDY have already called on workers to rally in central Athens against the so-called austerity measures.